Negativity can have a destructive impact especially on a small team. It can be derailing, demotivating, and if you’re not careful you may find you’re being sucked down by the prevailing mood. And so often it starts out as a joke. We’re exploring the line between barbed banter and unprofessional negativity, between a comic scepticism and a wearing cynicism, between questioning and whinging. We’re using an anonymous case study from one of our delegates. And we’d love to know if any of this sounds familiar to you. Delegate A, who attended our 5-day programme in June 2013, was working in a large department of about sixty employees. Most days Delegate A worked with a seven-strong team. The team was overseen by an Old Hand of vast experience, who had seen everything, worked under every type of boss, and who, while inspired and inspirational at times, frequently gave off the impression that she was marking out time until retirement. The rest of her team was made up of a fresh-faced graduate, a second long-service campaigner, a pair of work-experience experiments that had turned into long-term employment, an itchy-footed travel enthusiast, and finally the person who ultimately inspired this article. We’ll call her B. B was witty and lugubrious, sometimes rude, and equally quick to guffaw at herself as at others. She could at times poke fun at everyone and everything. However, as her employment went on, according to Delegate A at least, she became more entrenched in her role and the focus of her barbs were turning inward – on the project at hand, on the wider organisation, etc. The word insidious comes to mind. What started out as a gentle mocking tone became more acerbic. What was occasional became a constant background buzz. The once humourous levity had been replaced by pessimism and negativity – comic negativity, yes, but negativity nonetheless. By now almost any project was being met with degrees of scorn or indignation. Someone who at first would leap at a chance to go the extra mile, was turning into a jobsworth. And any trouble ahead, was no longer treated as a slight roadblock, but a huge predicament, impossible to overcome. It was around now that Delegate A began to exhibit what the Positive Power & Influence Programme would call Avoiding behaviours. In professional situations A began to steer clear of B, preferring to deal with her more-likely-to-be-positive colleagues. But by now the negativity was spreading to the rest of the team. Everything was a problem rather than an opportunity. No one wanted to try anything new or different, preferring to do things how they had always done them . . . only then to complain of boredom. The team had changed from dynamic rule-breakers to intransigent luddites. Every project was a bit of a joke. It was like the words ‘what’s the point?’ hung over the nest of desks and computers. Now everyone was marking out time. Delegate A admits that looking back, he joined in. It was as if the whole team, him included, had become too cool for school. It was exam time . . . but no one wanted to admit they were revising. No one wanted to show pride anymore. At the time, Delegate A says that he blamed B for this lack of professionalism. But now he lays the blame squarely at the management, specifically Old Hand. No one minds a sense of humour, but he feels Old Hand failed B. Old Hand should have taken B to one-side, explained the impact she was having, tried to understand where the negativity was coming from, given her clear boundaries. She should have tightened the reigns. The overpowering negativity that had consumed the team was her responsibility and no one else’s. B had crossed and re-crossed a line. Then eventually set up shop over the Rubicon because no one had taken the time or effort to bring her back. Feedback is an essential ingredient in managing and maintaining any team. Perhaps Old Hand was uncomfortable about giving negative feedback, and so withdraw from it altogether. Old Hand avoided difficult conversations, and her team suffered as a result. If you work with someone who is negative or frequently complains, you can try some active listening. You can try to understand where they are coming from. Do they have a valid complaint? Is there a systemic problem that could be addressed? Or do you feel it’s just a habit they’ve fallen into? If you do a quick search for ‘dealing with negative people at work’, you’ll come across a host of generally useful articles that go by headings like ‘12 steps to . . .’ or ‘9 ways to . . .’ And most have at least one piece of advice that can be summarised as: ‘where possible, avoid them’. But what use is that? Our Delegate A worked solely with this small, close-knit team. He was in and out of B’s pocket on a daily basis. So if you assume you can’t avoid someone, you are going to have to have a difficult conversation. You are going to have to put some thought into tackling the problem. Don’t get sucked into just complaining about it – that’s dealing with negativity with more negativity, when it calls for positivity. Delegate B believes he lost sight of the ball. He blamed others around him when he should have taken more responsibility. With hindsight he feels that he let it drain his energy and pollute his work. He should have ‘owned’ the situation. He could have tried to understand where the negativity came from. He could have made more of an effort to energise co-workers through his own positive attitude. He also feels he could tackled head on the prevailing mood of negativity by having some of those difficult conversations that Old Hand was avoiding. Have you had an experience like this? Have you ever worked with someone who fails to see the impact they are having on others? 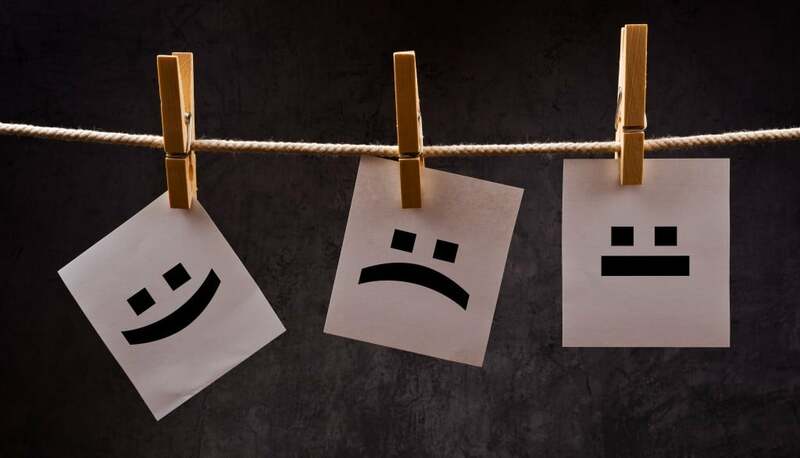 Have you had your work derailed by negativity? What’s worked for you? What will make me a Leader?